The Galway Indian Community will hold its annual Diwali celebration at the Menlo Park Hotel, Galway, on Saturday November 10 at 5pm and is open to all who "enjoy Indian traditions, culture, and food". 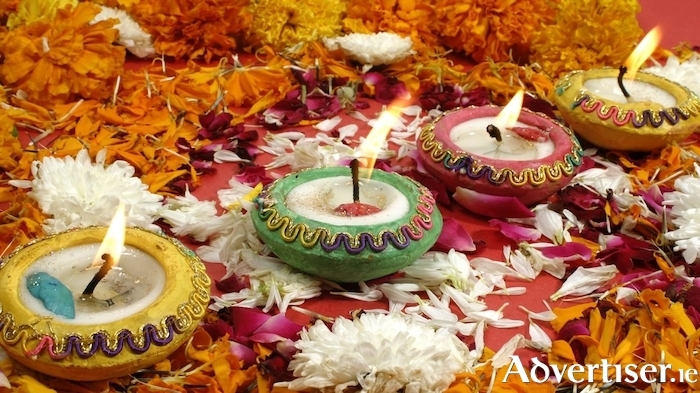 Diwali is the Indian Festival of Lights and it is celebrated in India with festivities, fireworks, and fabulous food. For the past 12 years, the Galway Indian Community has held celebrations in the city. This year’s event will begin with reverent contemplation for Lakshmi Puja, and the lamps will be lit to symbolise the triumph of light over darkness. Guests of honour will address the event. This will be followed by a cultural programme, featuring performances in the Indian and the Irish traditions. Indian delicacies will be served and the evening will be rounded off with a disco featuring Bollywood tunes.